A Signature Event Showcasing the Cultures of Westbriar! Taste of Westbriar – Sample cuisine from around the world! We are excited to taste your dish. In order to participate in any part of International Night, your family must bring a dish that serves 6-8 people. An ingredient card will be provided when you drop-off your dish in the cafeteria so those with food allergies or preferences can make informed decisions. Parade of Nations – Students dressed in clothing of the country of their choice will march behind the respective flag. Students must sign-up by 3/20 to ensure enough time for the PTA to procure all the flags. 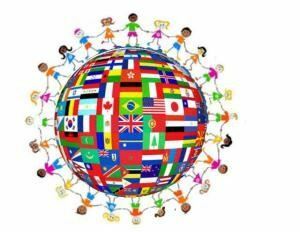 Multicultural Performances – Participants are required to attend the dress rehearsal on March 29th starting at 6:00 pm in the Gym in order to perform on International Night. Any music accompaniment for individual performances must be submitted at the rehearsal as an mp3 to allow time for the DJ to coordinate the music. Performance slots are limited, so sign-up today. Last minute cancellations take away slots from other children and are logistically challenging to manage, so please only sign up if your child intends to perform. Music and Dancing - End the evening by dancing to music from around the world! Make sure your culture and country are represented! WE CANNOT HOLD THIS EVENT WITHOUT YOUR HELP!